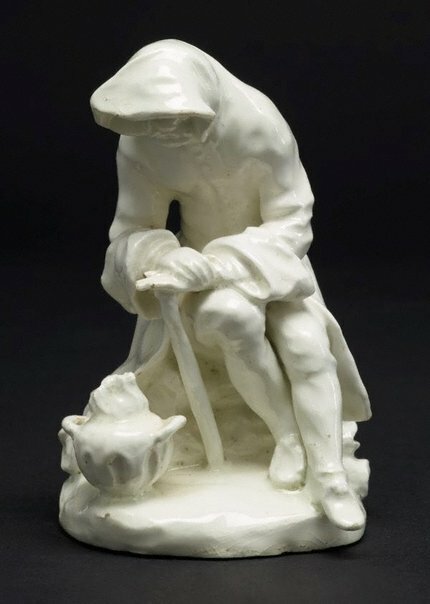 This is part of a popular set of figures that was in production from the mid 1750s (along with L2012.80, L2012.81, L2012.82). Spring has flowers, summer corn, autumn grapes; winter huddles over a brazier. Earlier examples are on simple pad bases. The set was reissued in the 1760s on rococo scrollwork bases (see no L2012.91).